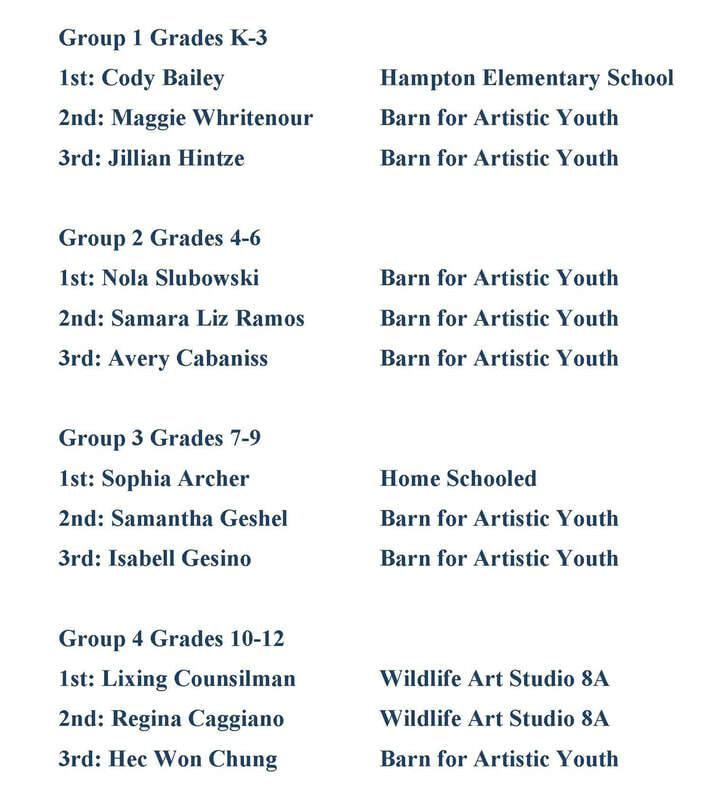 Since its inception in 1989, the Connecticut Waterfowlers’ Association (CWA) has coordinated the Federal Junior Duck Stamp Art (JDSAC) Contest in Connecticut. The JDSAC uses a science based art curriculum to educate students from kindergarten to high school about waterfowl habitat and conservation principles. 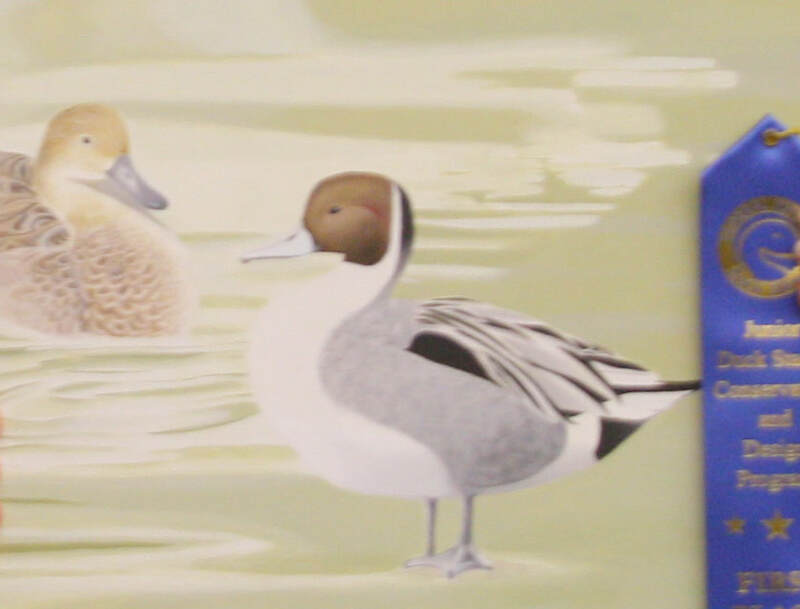 The “Final Project” for these curricula is the Duck Stamp Painting. The 2018 contest judging was held on March 28, 2018 at Cabela’s in East Hartford. 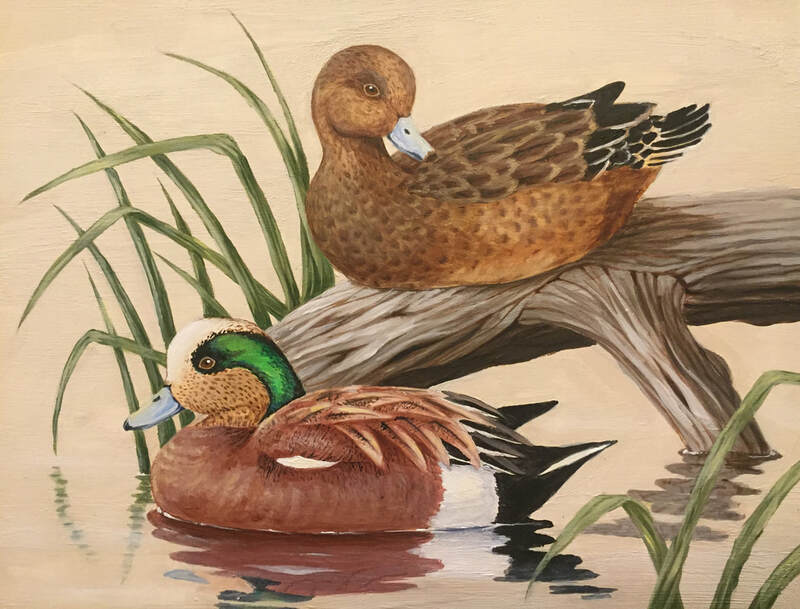 The winning image featured a pair of widgeon painted by Lixing Counsilman of South Glastonbury. Lixing’s painting was the overall contest winner and the best in the grade 10 -12 group. 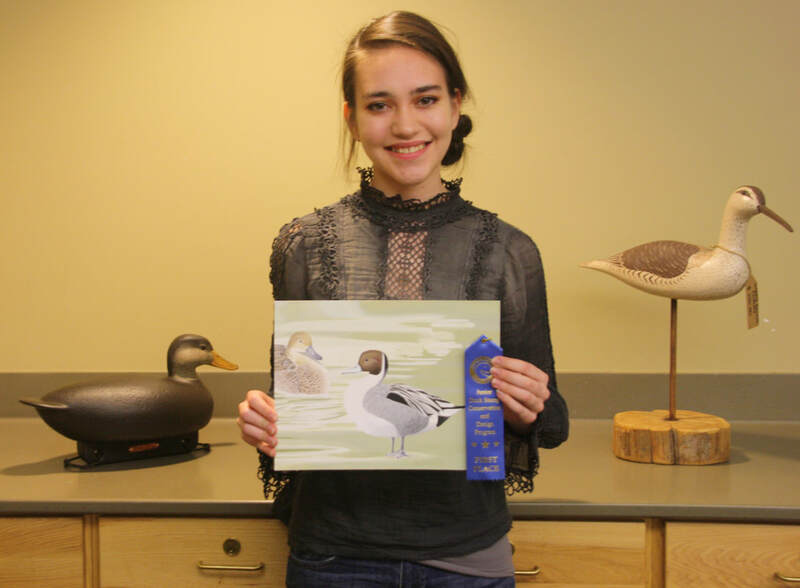 Second place overall went to Sophie Archer’s rendering of pintails. This painting was awarded first place in the grade 7 – 9 category. Sophie is a “repeat” winner in the JDSAC, having taken home awards in previous contests. and wants to thank everyone for their participation!